As Candace would say, “Mom Mom, look what Phineas and Ferb are doing!” They are having a LIVE tour at the Independence, MO Events Center on February 8, 2013 at 4:00 PM and 7:00 PM. Phineas and Ferb create their biggest invention yet- Disney’s Phineas and Ferb: The Best LIVE Tour Ever! Phineas, Ferb, and the whole Tri-State Area gang embark on a bold escape jumping out from behind your TV and onto the stage in a live action adventure-right in your hometown! And, before you can wonder, “Hey, where’s Perry?” the beloved pet platypus shifts to his secret double life as Agent P to foil another one of Dr. Doofenshmirtz’s evil plans. Musical madness abounds in an escapade so awesome that even Candace can’t help but join the hilarious hijinks. It’s the ultimate end to summer vacation, so seize the day ’cause Phineas and Ferb are gonna do it all! Buy tickets to Phineas and Ferb LIVE and enjoy exclusive savings of $3 OFF with promo code PHINEAS. 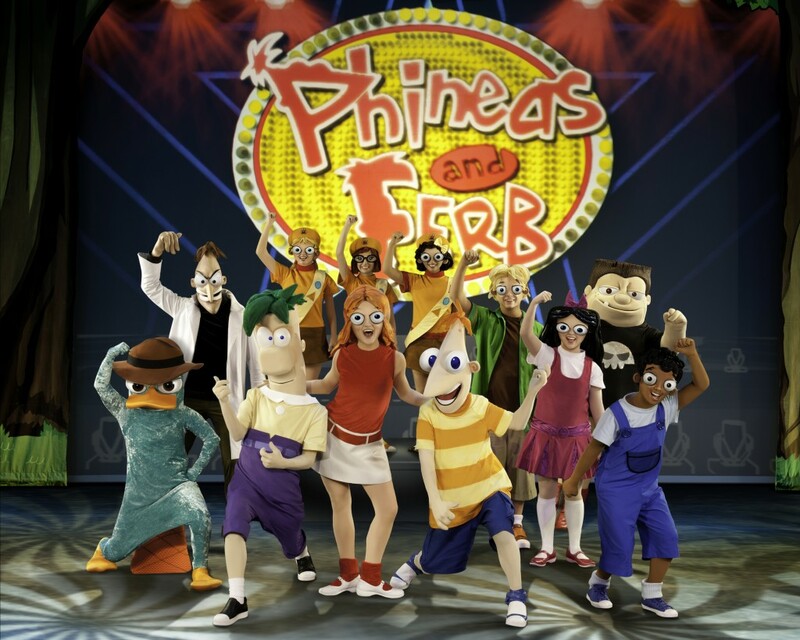 We’re giving away a Family 4 Pack of tickets to the Independence Events Center on February 8, 2013 at 4:00 PM for you to see Phineas and Ferb LIVE! Giveaway is open to those who can attend ages 18 and older. The winner’s name will be given and tickets available at Will Call the day of the event. Giveaway ends January 28, 2013 at 11:59 pm EST. Enter via the entry form below. Good luck everyone! I like rapunzel the best. My kids and husband however LOVE Phineas and ferb. My favorite character was Ursula, the sea witch.